How could I not put up a picture of Kevin Durant? MVP? I think so. The Thunder are still so young, yet so talented. They can’t get ahead of themselves though. This new success needs to be handled correctly and it cannot get into their heads or else they could possibly have a massive meltdown. For example, take the 2008-09 New Orleans Hornets. They are the perfect example of that. They biggest concern I have for the Thunder is their shooting. Other than Kevin Durant, it was an adventure for them last season. Hopefully the additions of Daequan Cook and Morris Peterson can help in that department. OKC is a lock for the playoffs and look for them to make a deep run. 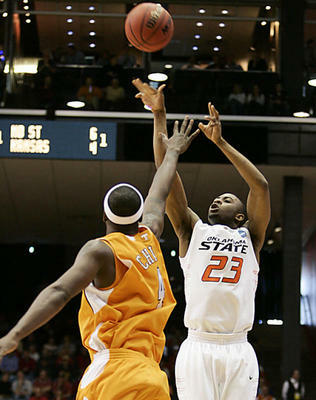 Will Oden ever last through an entire season? No team ever avoids injury, but no team is ever stung as bad as Portland was last season. With a complete lineup, this team has the potential to be the best in the West. They allowed the fewest points of any team in the West (94.8) and defense is definitely their calling card. Wesley Matthews was brought in for his defense and also to provide a spark off the bench. Marcus Camby is still a great defensive center, even at 36-years-old. Nicolas Batum has the length to block shots and get a couple of steals per game. The great thing about the Trail Blazers is that they are also very young as well. I realize that Camby and Andre Miller are not, but the rest of the team is. This team will be good for years to come, as long as Brandon Roy is still hanging around in the future. I think Hayward has a potential to be another Kirilenko. Deron Williams might be the best point guard in the NBA thanks to last season. His playmaking ability is getting to a ridiculous feat and with the players around him it could even get better this year. Getting the additions such as Al Jefferson, Raja Bell and Gordon Hayward acclimated quickly is crucial. Williams and Carlos Boozer were the second coming of Stockton and Malone (obviously not as good as these two) and I believe Jefferson can fill the shoes of Boozer and put up 20 points and 10 rebounds for the season. Jefferson is also going to have to find chemistry with Paul Millsap. Both will want to control the paint, but each have to pick and choose when to make their moves. The Jazz will most likely be a middle of the pack playoff team, but I see them losing first round. Most people probably are wondering why I have the Nuggets finishing fourth in their division, and the reason is because Carmelo Anthony will either be gone from the team or not focused enough to lead. Carmelo is an elite player, and if he gets traded the Nuggets will turn into another run-of-the-mill team not making the playoffs. We all saw the breakdown this team had without head coach George Carl, and without their superstar, all hell might break loose. J.R. Smith is a hothead and even though he is in a contract year, his play will still be very streaky. Kenyon Martin is always getting hurt, so the play of Al Harrington will be a huge part to the success to this team as well. In the end, with Carmelo or not, I just don’t see it this year for the Nuggets. The Timberwolves are going to be even worse this year. With the loss of Al Jefferson to division opponent Utah, Minnesota has no “go-to” scorer. Michael Beasley is their best bet, especially since in 2008, he was projected and considered to be a better prospect than Derrick Rose. Kevin Love is developing into a great player but he does most of the nitty-gritty work. Rookie Wesley Johnson has the skill set to be great and he will definitely get ample amounts of playing time with this team. Darko Milicic has ANOTHER chance and again it will be a failure. I wouldn’t be surprised if this team finishes with less wins than they did last season. Despite the fact that the New York Knicks “were” the favorable destination for 2011’s top free agent in Carmelo Anthony it looks as though the Nuggets aren’t interested in becoming trading partners. As Sam Amico reported via Twitter this past Saturday the Nuggets will try to trade Carmelo to three teams: Minnesota Timberwolves, Sacramento Kings, and the New Jersey Nets. Which team will I pick? There’s no doubt in my mind that Melo will in fact be traded before this year’s trade deadline. For one Carmelo has pretty much painted a clear picture to the Nuggets organization that he doesn’t have much interest in signing an extension. For two Carmelo continuously speaks to the media discussing his future plans in which he recently just expressed his interest in possibly joining the Houston Rockets. But the third and final reason has to deal with the team that currently holds the rights to their franchise player, the Denver Nuggets. Don’t forget they have their own agenda, their own goals, their own future to look forward too, as does Anthony. I can assure you the Denver Nuggets will take notes and examine what just happened to Dan Gilbert and the Cleveland Cavaliers with “The Decision”. There’s no way Anthony will depart from Denver without the Nuggets receiving some valuable compensation. While Anthony may in fact have his own preferences of teams, the Nuggets also have their own. In which case brings up a very interesting story to follow: How will the Nuggets successfully pull off a blockbuster trade to their liking? It begins with narrowing down the teams you’re interested in doing business with and they’ve already established that in the Timberwolves, Kings, and Nets. It’s been noted all offseason long that the Denver Nuggets have been out searching for a young power forward to replace their current aging and overpaid power forwards in Nene Hilario and Kenyon Martin. Each of the three teams mentioned as Denver’s favorite trading partners can offer the ideal young power forward the Nuggets have been searching for. Love could be the piece to bring Melo to Minny. In Minnesota it’s Kevin Love, a young post man currently a member of the young Team USA team participating in Turkey. Love’s a player who has expressed mixed emotions upon being a member of the Timberwolves. Most recently told reporters at Team USA camp that he felt “unappreciated” by the Timberwolves organization. Meanwhile in Sacramento, the Kings have put themselves in a great position to be attractive trading partners by having successful draft nights the past few years. They have an oversized load of young post players that show tons of potential. With the variety of different big men they’re able to offer, there’s no question they’ve got the best chance of landing Carmelo Anthony. In New Jersey, it comes down to the vision and decision-making of new owner Mikhail Prokhorov. After Prokhorov struck out on reeling in a big name star in this year’s historic free agency, he may become impatient, and make an over-the-top offer for Anthony’s services. If he does that I can promise you he’ll be doing the Nuggets some favors (pun intended). So let’s review each of the Nuggets’ preferred trading partners and evaluate the talent they’re willing to offer in return for Denver’s superstar. It’s important to consider that it’s not likely ANY of these trades go down without Carmelo accepting a rarely used (in mid-season) what’s called an extend-and-trade. Minnesota Timberwolves: While Sacramento is clearly the favorite for Carmelo Anthony in terms of the Nuggets’ preferences, let’s not forget that for Wolves GM David Kahn it may not be tough throwing him into a deal. With the additions of Anthony Tolliver, Michael Beasley, and Darko Milicic this offseason, it’s likely Love won’t even be returning next season. The Timberwolves can offer a below average package for Anthony most likely sending Kevin Love, Corey Brewer, and probably a future first round pick that can be sweetened if Kahn makes it not lottery protected. Favors could be the big man to bring New Jersey a big piece. New Jersey Nets: As mentioned above, if Prokhorov does get desperate, the Nets may have a nice shot at landing Melo. Not only can they off a variety of young pieces, but New Jersey is a place that Carmelo may have interest in signing and staying long term. While the Russian man may gamble & goes all in with his young talented chips, the question that arises is if Denver is willing to gamble as well. The Nets have already come out and said they’re not willing to add Brook Lopez into any kind of deal for Anthony. So even if it sounds outrageous the Nuggets would have to acquire Derrick Favors, Devin Harris, Terrence Williams, and maybe more. If a deal anywhere close to this nature, consider it a done deal, and it could be realistic “IF” (a big “if”) Carmelo agrees to do a extend and trade scenario. 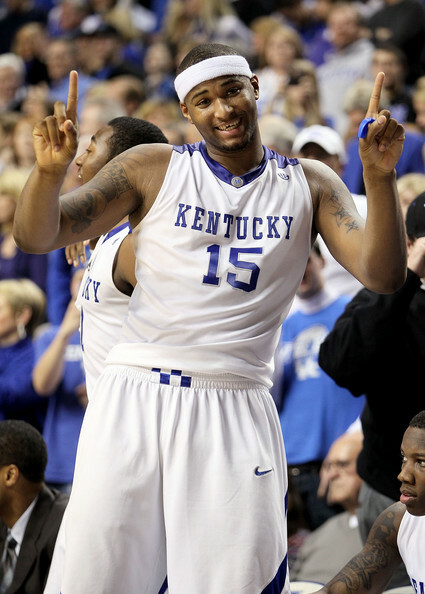 Cousins is one guy who will not be included in any deal for Melo. Sacramento Kings: Much like the Nets, the Kings also have a ton of potential pieces. But make no mistake, the Kings may be able to offer more variety of bigs, but there’s no way they’ll be willing to include DeMarcus Cousins in any trade talk. It’s clear newly acquired Samuel Dalembert will play a big role along with Jason Thompson, Donte Greene, Carl Landry, Omri Casspi and Hassan Whiteside being potential guys sent in the proposal. The Kings would love the idea of a Tyreke-Melo-Cousins trio heading towards the future. And the Nuggets may have enough interest in Dalembert’s huge expiring contract , along with Carl Landry’s. Also, don’t rule out Omri Casspi and Kings rookie Hassan Whiteside. Casspi can fill the starting small forward position and Whiteside is a young Marcus Camby in the making (Camby won 2007 Defensive Player of the Year with Denver). This is obviously all speculation and nobody knows what may happen this upcoming season in the high country. But I’m willing to bet NOTHING HAPPENS until at least December 15th which other newly signed free agents become available for trade. That gives plenty of other teams possibilities to get involved and who knows, maybe even the Nuggets’ preferred three teams will get together to and work out a three team trade of some sort. Until then, take this situation for what it’s worth, embrace the hype, the hoopla, and the rumors. As we all know, December 25th is quite the holiday celebration. Now that I’m all grown up, outside of getting to spend quality time with my family, watching the highlighted NBA games on ABC each year is what I look forward to most. This year, Christmas came a little bit early in many respects. On Friday it came for the Hawks as the Bucks gave them a huge gift as they came out very poorly and never recovered, which allowed the Hawks to regain control of the series. 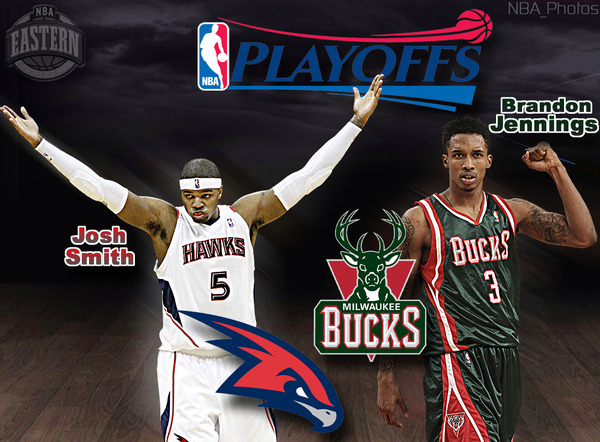 Tomorrow marks a gift for the Milwaukee Bucks as they play a deciding Game 7 in Atlanta. You may be wondering how can it be a gift for a Bucks team that could’ve closed out the series at home? While you’re absolutely right, it’s for those exact same reasons that Game 7 is a gift to the Milwaukee Bucks. This Game 7 will forever be known in my book as The Gift & The Curse. “The Gift” will come in it’s appropriate holiday fashion with the Bucks wearing their traditional Christmas team colors. “The Gift” will be opened by the Atlanta Hawks and it shall be shared amongst the entire Hawks organization, team, fans , and city. Maybe you’ve already see where this is leading but the Gift is the Curse. The curse to what’s to come in the near future in Atlanta after tragic Game 7 loss in Atlanta occurs. Now you may wonder: How will the gift be successfully sent and presented? How dare you ask such a question, you should’ve learned that answer growing up. The answer: By the reindeer of course! Dasher: “Jamal Crawford” Whomever is defending Crawford must make sure to know where he is at all times, especially during the closing seconds of this game. In his first playoff appearance, Crawford’s going to be dashing all around the floor looking to get off a clean look at the basket. If anyone’s going to deliver the unbelievable dagger to the Bucks chances of moving on it lies in the hands of Jamal Crawford. Dancer: “Brandon Jennings” In the Game 6 postgame press conference Jennings stated he’s coming ready to play come Sunday afternoon. When he means ready to play, it also means he’ll be ready to swag, so expect a little dancing on and off the court. Prancer: “Ersan Ilayasova” The Bucks need Ilayasova to prance all around the glass on both ends of the floor. He’ll be important in limiting the Hawks second shots on the defensive end and cleaning up the Bucks missed shots with put backs on the offensive end. Vixen: “Joe Johnson” The term Vixen just sounds scary and evil which is exactly how Bucks’ fans would describe Johnson all series long but especially now heading into Game 7. The grammatically correct definition of a vixen is a female fox or ill-tempered woman, none of which apply to Johnson. Comet: “Josh Smith” J-Smoov will continue to be unsmooth near and around the basket whenever he’s unable to finish above the rim. 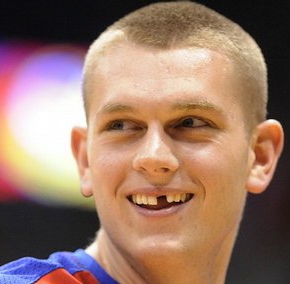 Under the rim, he’ll continue to look he should be playing for the WNBA’s Houston Comets. Cupid: “Carlos Delfino”It’s safe to say by now that Delfino has found his shooting touch from the outside. Knowing you can count upon him to hit his open looks, take some pressure of Salmons, and hit big shots, what’s not to love about Carlos…. Donner: “Mike Woodson” Since Donner is not an actual word and just a name, it didn’t ring a bell to who be honored with this reindeer. But Donner does rhyme with goner and that’s exactly what Mike Woodson will be at the end of the playoffs: win or lose tomorrow. Unless the Hawks win the NBA Championship, he’s gone: either leaving under his own will which could potentially end up being to Philly with Larry Brown. Why would he opt to leave on his own? Job Security. Some would already say his job is on the line and that’s before Joe Johnson packs up and leaves this summer. Blitzen: “Zaza Pachulia & Dan Gadzuric” When it comes to this name, I can’t help but think of the word blitz. Not only would both of these honorable bench players be great defensive football players but they more than make up for it by blitzing (fouling) on the basketball court. Whether it’s to send a statement or just a shot block attempt, both are very gifted when it comes to fouling. Rudolph: “John Salmons” Coming off a horrendous 2-13 shooting night for only 8 points in Game 6, Salmons is the key to delivering “The Gift and The Curse” to the Atlanta Hawks in Game 7. Being Rudolph, he’ll need to use his famous Red Nose to guide his deer to victory. While that starts off on the offensive end by providing a bulk of the scoring load, it can’t end there. Salmons must also provide “hard-nosed” defense on Joe Johnson for the entirety of Game 7. Can he do it all? Of course; has Rudolph the Red Nosed Reindeer ever let you down? Like Johnson, Salmons leadership is never vocal, but like another popular “Rudolf”, he’s going to “Let It Rock” in Game 7. The Reindeer: Whichever “reindeer” are able to take care of business consistently until the final buzzer sounds will win the game for their respective teams. Collectively as a whole, they must all be on the same page and click with one another. Which “team” of reindeer do this the best separate themselves from other and move their slay onto Orlando to face the Magic in Round 2. Santa: You may find it a little shocking for me to admit this being the big NBA supporter that I am but NBA Commissioner David Stern is Santa. In the end, Santa has a lot of influence on who’ll end up taking the sleigh to Orlando. As the NBA Playoffs progress he’ll be making a list, checking it twice, gunna find out who’s naughty or nice. And come time for one “nice” team to hoist the NBA Championship trophy, Santa Clause is coming to town!!! My advice to the Bucks being the underdogs and a team that wouldn’t be expected to have much of a chance in making a Round 2 matchup against the Magic a competitive one that has the potential to go 6 or 7 games (bringing in that much more money for the league…cough, cough) and to remember to leave Santa a full glass of Milk (fresh from Wisconsin) and some chocolate chip cookies! For most of us, Christmas is among the most cherished childhood memories we carry with us throughout our lives. We never forget those mornings we rushed out to the living room to see what Santa had left us. While our thought and belief of one man traveling across the world spreading holiday cheer and leaving children gifts that they had on their wish list may diminish; Christmas is amazing and Santa is a big reason for that. 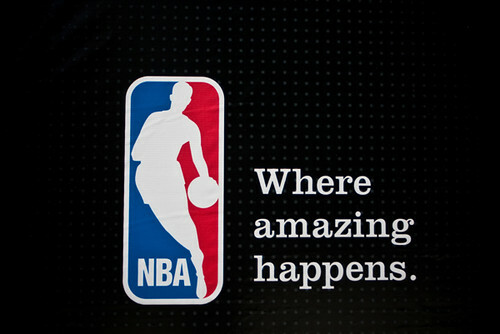 The NBA is also where amazing happens and whether we’d like to admit it or not, David Stern has a lot to do with what’s granted off our wish list. For Bucks fans, it’s hard to add to the wish list, the Milwaukee Bucks have gotten all that could ever ask for this year and more. An exciting future star in draft pick Brandon Jennings, a strong return from overseas from Ersan Ilayasova, drastic improvement in both leadership and performance roles from Andrew Bogut, a solid free agent signing in Jerry Stackhouse, a great deadline trade grabbing John Salmons, saved tons of money moving Richard Jefferson’s contract and picking up Kurt Thomas who turned out to be a blessing in disguise, great bench play and attitude from Luke Ridnour, even more improved defense from Mbah a Moute, a great swap receiving Carlos Delfino, and the creation of Squad 6. With all of this came recognition and respect, all year long the Bucks weren’t the laughing matter they once were, both of the Bucks masterminds were honored: John Hammond won the league’s Executive of the Year Award and Head Coach Scott Skiles was runner-up for NBA Coach of the Year. 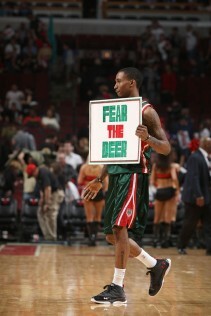 And most importantly, the NBA now knows why it should FEAR THE DEER. Ever since stepping foot onto Marquette campus as a college freshmen, I’ve been a all out supporter of the Milwaukee Bucks. I’ve stood by this team since the first game I ever attended, now over 70 games later (having not missed a single game (preseason or season when in Milwaukee) I’ll continue to stand behind the Bucks in Game 7. While I’ll admit and it’s definitely clear in this post that I have my doubts about Game 7, I’m going to let my bias and just overall passion for the Bucks organization to get the best of me in my Game 7 prediction. No way I’m picking against the Bucks in Game 7, I’ve always been a believer in this city, this franchise, and this team, and it ain’t stopping now. What’s up everyone, coming soon is no longer, it’s time for the NBA season, which means it’s time for a entertaining NBA season with Ross Geiger. As for me, I’ve been busy juggling my 6 classes for the semester leaving me not much time for NBA preseason write-ups. But now that the season is here, I’ll be sure to be posting frequently! Other than the season itself, things to look forward too include and are not limited to the following, day to day game predictions from yours truly, nationally televised game recaps, and of course a few interesting articles along the way! But for now enjoy my NBA Season Predictions and I look forward to reading each and every intellectual comment, question, or concern. Without further ado, enjoy! Toronto Raptors– Clearly the city of Toronto is located in Canada making it not a part of the United States. But what’s not clear is if on paper the Toronto Raptors look like an NBA roster. Raptors GM Bryan Conlangelo has strengthened the depth this offseason having solid backups at each position with Jack, Bellinelli, Wright, Johnson, and Nesterovic. Though Hedo Turkoglu was an overpaid free agent whose numbers will slightly drop this season, he provides the “go-to” perimeter shooter down the stretch that the Raptors have lacked ever since Vince Carter left town. Another year under Calderon’s belt only points to positive results and let’s not forget that head coach Jay Triano embarks on his first full season after trying to pick up the mess that Sam Mitchell left behind last season. For the Raptors to cling to second place in the Atlantic, they’ll need a big season from Bargnani who needs to show he was worth the contract extension he received (which will be hard to do earning 50 million over 5 years). With the departure of Anthony Parker, the team will need someone to step up to fill that shooting guard position. I’m excited to see who decides to step up and am hoping it’ll be Marco Belinelli who has always been one of my favorite summer league players to watch. All we’ve ever heard is that he just needs to find the right opportunity, that opportunity is now there; it’s time to shine in Toronto. Philadelphis 76ers– It was hard not giving the upper edge to Philly over the Raptors but they decided to not fully address their point guard concerns this offseason. After letting Andre Miller walk (one of the NBA’s most underrated PGs), they made no move to improve their point guard position. Drafting Jrue Holiday was a great selection but he’s not ready to be thrown into the fire. Ivey is a decent backup, and the favorite to start at PG this year Lou Williams makes Leandro Barbosa look like a true point guard. I question why they didn’t attempt to bring in a point guard but further question how Elton Brand will comeback. If Brand comes back to full health and Dalembert stays healthy then the 76ers are a point guard away from being a scary team in the Eastern Conference. New York Knicks– I don’t know the history into how Times Square got it’s name but I can tell you this, time is still square for the New York Knicks. In fact, they’re onto the last and final square 4. One more season of waiting until the LeBron James auction begins which also means one more season of bad basketball in Madison Square Garden. The square heads inside the Knicks management better pray they can recruit LeBron because settling for anything less after this effort would be a shame. It’s sad that instead of even predicting their season, it’s more interesting to predict their next moves, so here we go. In the upcoming season, I predict them to tank again (even if not on purpose), remain interested in Rubio by offering Minnesota expiring players for him in return or if the stink enough that they can offer a high lottery pick for his rights, and I also feel they’ll end up signing David Lee to a one year deal. I’m still unsure how Jordan Hill will pan out for them this season especially after having a not so impressive summer league but he should get plenty of opportunities to show what he can do. On closing thoughts I’d also like to note that Brandon Jennings was a perfect fit to run D’Antoni’s offensive game plan being a pure point guard who has the ability to be the future guru of the fastbreak offense if he lives up to his potential. I’d love for the Knicks front office to answer this, what’s the most important position in order to run a successful fastbreak? All in all, get LeBron James (which I feel they will) and all this questioning will fade away as fast as Allan Houston. New Jersey– Surprisingly I love New Jersey’s offseason moves as their best bet was to work toward the future and put themselves in a position to snag a star free agent in the next two off-season’s that await. Until then they got a nice young nucleus starting with Devin Harris and Brook Lopez, both whom exceeded their expectations with their first year with the club. Courtney Lee will be given a huge role, which will allow him more opportunities to shoot the basketball. Yi will continue to be the Yi that was hyped up but can’t live up to any of it and hopefully Terrence Williams will prevail over Bobby Simmons as the starting small forward. Head coach Lawerence Frank being my favorite head coach in the entire NBA makes it hard for me to put his team in last place in the division but I feel it’s a realistic final standing. The New Jersey Nets should move into their new arena when finished with a bright bunch of young NBA veterans. Cleveland Cavaliers- GM Danny Ferry will continue to lose some sleep after LeBron turned down the idea of a contract extension, but do you blame him? As he continues to have not the slightest idea which way LeBron’s noggin is swaying, at the very least he’s got to be more than satisfied for his offseason pickups. Ferry added Anthony Parker, Jamario Moon, Leon Powe, resigned Andersen Varejao and I almost forget…he traded for the BIG WITNESS, Shaquille O’Neal. The Cavaliers are more than ready than contend for an NBA championship and anything less than winning a ring, will result in the departure of LeBron James in my opinion. Many sites believe Delonte West will remain the starting shooting guard but I disagree, I feel Anthony Parker is the better shooter to complement LeBron on the wing. Parker was a huge pickup; he may actually have more of an overall impact than Shaq this season. Moon becomes a great substitute when LeBron gets his quick breathers and having Big Z (Ilgaukas) coming off the bench is key, as both Shaq and Z rely on one another to remain injury-free. Staying optimistic on a healthy return for Leon Powe will be big as an additional spark plug next to Varejao. Powe will be invaluable if & when the Cavaliers meet the Celtics in the playoffs. For the last few years Powe has went against both Garnett and Perkins in practice and can offer valuable insight on how to defend both of them to his fellow Cavalier big men. This looks to be the year we’ll finally see Shaq & Kobe matchup in the NBA Finals. If so any chance I can request Nike to create a Shaq puppet and a Ron Artest puppet? Chicago Bulls- When you surround your team with a player as high of a caliber as the league’s reigning NBA Rookie of the Year Derrick Rose, the sky is the limit. The deadline move to bring over John Salmons and Brad Miller will continue to pay dividends this year. Both Tyrus Thomas and Joakim Noah showed drastic improvement as the year went on and both should continue to blossom next to the Rose. So you may be wondering what needs to happen in order for the Bulls to be a serious team to compete come playoff time, for the answer listen up and as I put a little twist to Pharrell’s hook in Chicago native Common’s hit, Universal Mind Control, “It’s that Deng, to de-Deng, Deng, Deng, Deng”. Luol Deng’s strong comeback determines just how far the Bulls can climb this year. A healthy Deng allows Salmons to move over the shooting guard position and helps Ty Thomas remain a more comfortable fit at power forward. But bringing back a former Bull in Jannero Pargo returning from overseas could possibly leave some doors open for trade talk for Kirk Hinrich. If Pargo can prove he can be a solid enough backup guard for spot minutes behind Rose, the Bulls should explore trade options for team’s interested in Hinrich. A great situation for Hinrich waits in Philadelphia where he could be their missing link to becoming a very scary team in the Atlantic Division possibly even competing for the top spot with the Celtics. If Philly becomes desperate for a REAL point guard, a package that includes Hinrich could possibly bring over a guy like Thaddeus Young who would help heal the wound at the small forward position if Deng can’t return strong. The Chicago Bulls are by far the best team in the Eastern Conference too not only compete now but to compete in the bright future that lies ahead in the windy city. On top of all the possibilities of making a serious postseason run for an appearance in the Eastern Conference Finals, even if they fall short, don’t forget that next season Dwyane Wade will be making a homecoming when he signs a long-term deal with the Bulls, giving the Bulls one of the most athletic backcourts in the history of the NBA. Detroit Pistons- Each year the Detroit Pistons seem to be getting away from what help them be successful in the first place, defense. Yes, I realize players’ age, there’s needed change and some players leave. But why not do your best to replace those players with similar basketball player mentalities? All of a sudden the Detroit Pistons have become obsessed with vortex scorers shying away from their team defense and unselfish play on the offensive end of the floor. It started with Billups for Iverson, then allowing Rasheed and McDyess to walk replacing them with Villanueva and Gordon. At this point, Tayshaun Prince must be dreading the upcoming season having nobody else who takes pride in their defense out on the floor with him. At the end of the offseason it’s almost like GM Joe Dumars realized it and pushed the panic button by trying to revive dead glory bringing back Ben Wallace. There’s no question that the Detroit Pistons won’t have trouble scoring the basketball, but who’s going to rebound? Who’s going to defend the opponent’s big man? Did I mention yet that their depth at the center position has Kwame Brown starting and Ben Wallace backing him up? I’d love to hear Stephen A. Smith’s comments regarding both of those centers and how they’ll impact the Pistons this year. If the Pistons develop a run and gun style like the Phoenix Suns then maybe their new roster can be effective but until then I see tons of problems, maybe even chemistry issues as each player is going to have to sacrifice some touches. Call me crazy, but if the Milwaukee Bucks and Indiana Pacers focus in on their defense and stay healthy with their players, I see BOTH of them having a good chance at jumping the Detroit Pistons in the win column. But until then, the Pistons have the upper edge. Milwaukee Bucks- The Milwaukee Bucks offseason moves boggle many NBA analysts as well as tons of NBA fans. Parting ways with three of their starters in Richard Jefferson, Charlie Villaneuva, and Ramon Sessions. The simplest way to put it is that both Villanueva and Sessions didn’t fit the Skiles type player and Jefferson didn’t have the desire to play in Milwaukee. But GM John Hammond did accomplish something big, he got the Bucks barely under the salary cap while acquiring some solid role players in Carlos Delfino and Kurt Thomas that can have big impacts if (and this is a BIG if) Bucks stars Andrew Bogut and Michael Redd return healthy and remain healthy for a full season. Not to mention the Bucks had a successful draft coming away with a steal at pick #10 selecting the potentially great point guard Brandon Jennings and then selecting one of the deadliest shooters in the draft with the #41st overall pick, Jodie Meeks. The question I always get asked, is how can I possibly truly feel the Bucks have the ability to be successful, my answer is it’s starts with their toughness on the defensive end of the floor. While I’d already considered the Milwaukee Bucks to be a Top 15 defensive team last season, parting ways with Sessions, Villanueva, & Jefferson only helps their case into being placed into my Top 10 this year. Coach Scott Skiles is a coach who demands toughness on the defensive end of the floor while also taking care of the ball on offensive end of the court. OPPORTUNITY should be the Milwaukee Bucks’ motto this season, Hakim Warrick is going to get the chance to be a “go-to” guy, an opportunity to not only be a full time starter but also to be called upon to be consistent. For Brandon Jennings, he’ll need to be patient with Skiles because there’s not a chance he’ll earn the starting role immediately but if he can be a spark plug by getting the Bucks out on transition, create open looks for his teammates, and more importantly prove to Skiles he’s not a defensive liability (even though he needs to throw on some more weight), I think Jennings could take over the reigns from Ridnour as early as January. Which would still give him a legit shot (depending on the Bucks’ playoff chances) at Rookie of the Year honors. Bottom line for the Bucks, how Bogut and Redd return, how Warrick accepts a new level of responsibility nightly and how Brandon Jennings pans out this year determines whether or not the Bucks make a claim for that 8th spot in the Eastern Conference. Indiana Pacers- Like the Milwaukee Bucks, the Pacers’ level of success lingers on the chances that their main players remain healthy. Unfortunately history tells us that just won’t be the case. But if Danny Granger can make history by increasing his scoring output by another five points (which would have to be 30.8) per game this season then the Pacers could be like the Miami Heat of last year. This would be Granger’s fifth straight season of improving his points per game by five or more, something that’s never been accomplished. Is it a reasonable record to break?… who knows, it’s the Indiana Pacers a team that beat five out the six division leaders (Cavs, Magic, Lakers, Nuggets, and the Celtics by 26 pts). Too make even more confusing, last season the Pacers failed to have a winning streak longer than three games last year. Newly acquired Dahntay Jones definitely helps strengthen their defensive efforts but doesn’t help them put up anymore points on the board, which concerns me. There’s still no timetable on whether or not Mike Dunleavy, one the Pacers best scoring options in the past, will play next season or ever again for that matter. Troy Murphy gave his best to produce on the offense but in the end the Pacers don’t have enough legitimate scoring threats to help out the Lone Ranger, Danny Granger. Orlando Magic- The Magic were the last but also the first team to go fishing during the offseason. Losing in five games to the newly crowned world champion Los Angeles Lakers in the NBA finals they became the last team “gone fishing”. During the summer’s free agency period they went fishing once more reeling in a Bass, forward Brandon Bass from the Dallas Mavericks. Along with Bass, the Magic traded for the human highlight reel Vince Carter with Ryan Anderson also coming over in the deal to New Jersey guard that sent Rafer Alston and the young Courtney Lee. Adding Vince Carter gave the Magic a nice replacement for Hedo Turkoglu whom they knew would be a tough signing (eventually Turkoglu signed with Toronto). Then came a shocking move when the Magic decided to match the Mavericks offer sheet to backup center Marcin Gortat. With the little money they had left, they went out and signed forward Matt Barnes and flashy point guard Jason Williams. It’s clear to say that the Magic had a very successful offseason, bulking up their depth for another potential NBA Finals run. Dwight Howard has gained another year of experience and also now knows what it feels like to play in the NBA Finals; he’ll be hungry to make his return to the biggest stage. Vince Carter is craving a chance to play in the NBA Finals falling short to do so way back with the Raptors missing a game winner, which would’ve sent him to the finals in 2001. With Vince you must question how much “magic” is still left in the tank but Orlando is fortunate enough to have above average backups at every position, in Carter’s case it’s Mickael Pietrus. Going into the season, without question the Orlando Magic are the best suited team to challenge the Cleveland Cavaliers for a chance to go to the championship. Atlanta Hawks- My gut feeling wants to give the Wizards a chance and select them as the second best team in the Southeast Division but I couldn’t pull the trigger due to Atlanta’s unity. Ever since Mike Bibby came to town for the most part the Atlanta Hawks gelled as a team and have kept the same solid structured roster. With the Wizards filled with many new changes as well as big impact players coming off injuries, unless the Wizards have an unbelievable second half of the season, they won’t catch the Hawks. No disrespect to the very solid Flip Murray but for the first year since Atlanta’s been a threat in the East, they finally got a lethal threat coming off their bench in Jamal Crawford. Murray played great for them but logged a ton of minutes at the point guard slot, which wasn’t his ideal position to be successful. Like Murray, Crawford flourishes as a shooting guard but also has the ability to play the point guard spot and is more effective than Murray as the floor general. But don’t get too excited seeing Crawford as a PG because rookie Jeff Teague could also see some spot minutes on the floor to provide a spark. Teague was a potential lottery pick going into the draft and Atlanta lucked out with him falling down to them at #19. Both Joe Smith and Jason Collins give Coach Mike Woodson some new-experienced post options of the bench along with Zaza Pachulia. If Atlanta continues to build upon each year like they have in the past few seasons, the Hawks could be a dark horse come playoff time. Washington Wizards- Let’s face it, their “wizardry” paid off as Washington basically traded away their rights to selecting Ricky Rubio (whom won’t even play in the NBA for another couple years) in exchange for guards Randy Foye and Mike Miller. The Wizards organization adapted the perfect mentality when the draft approached. While all of last season the Wizards were one of the worst teams in the league, a lot of that had to do with big injuries. Rather than selecting another top prospect and waiting for him to fully develop, the Wizards’ front office decided to take a different standpoint focusing on the present. The Wizards NEED to win now, the current roster situation points to wins. With Caron Butler, Antawn Jamison, Gilbert Arenas, and Brendan Haywood seeing the light at the end of the tunnel of their “prime”, it’s a no-brainer you risk the future and give this franchise an opportunity to be successful in the present. Grabbing Fabricio Oberto along with Foye and Miller changes the whole dimension of how “playoff ready” this team really is. If Gil-Zero comes back strong, Haywood can be consistent solid center, grabbing down some boards, and the rest of the team put up numbers they’ve put up in year’s past, the Washington Wizards aren’t a team you want to be reckon’ with. But Wizards fans, you gotta stay patient with your squad, the first 20 games may be just below .500 basketball, but once the Wiz find some signs of momentum, watch out! Charlotte Bobcats- Head coach Larry Brown has almost completely finished his project of giving the Bobcats a makeover filled with players he’s fond of. In a nutshell I love describing the Bobcats as a team filled with borderline stars who on great teams are solid role player starters. So if we’re talking chemistry-wise then yes, I love the Charlotte Bobcats, but for some strange reason with or without reaching an agreement with guard Raymond Felton, I don’t see the chemistry translating to wins. The Bobcats are one all-star shy of being a very dangerous team even in the Southeast division. Trading away Emeka Okafor’s contract of Tyson Chandler doesn’t necessarily help the team improve but it does improve their chances of inking what I like to call a second tier free agent in these next two off seasons. Charlotte should put up so battles this year but will be that team that is solid but always falls up short in the end in tough games. Same will apply for their 2009-2010 season. Miami Heat- After Dwyane Wade leaves Miami for his hometown Chicago Bulls this next offseason, the Miami Heat will be crowned the Eastern Conference’s version of the L.A. Clippers. The first half of the season will say it all for the Miami Heat, if the Heat struggle out the gates, it won’t come as a surprise if D-Wade happens to get “injured” having to clock some time on the injured reserve (aka staying healthy for his homecoming). Can anyone give me one reason why Wade should stay in Miami? They didn’t even make the slightest effort to be another big name to town to aid him. Instead they became the 5th team this offseason to receive Quentin Richardson and his all so streaky long-range stroke. I’m sorry, am I missing something? Although Q-Rich and D-Wade have a good off the court relationship both reigning from Chicago (Richardson was actually working out with Wade when the news broke he was traded again) I’m pretty sure the Heat have James Jones who won’t be as effective as Richardson but is at least consistent and Daequan Cook is almost a clone (as a SG) of a young Richardson. With Beasley having off the court issues, Chalmers always leaving you wondering, and never knowing the daily status of Jermaine O’Neal’s knee I don’t like the Heat’s chances of getting out of the gate with a strong start. Like I said earlier and I cannot stress enough how terrible start and awful first half of the season= Injured Wade, but even if I’m wrong, I promise you Wade will be gone in a FLASH at the end of the season, Chi-Town bound. Denver Nuggets- The Nuggets are coming off of a stellar year after acquiring Colorado native Chauncey Billups in exchange for team chemistry cancer Allen Iverson. Since Mr. Big Shot’s arrival the Nuggets have rose to the top of the Western Conference, looking to this year reach the top of the Rockies in first place of not only the Northwest Division but also the Western Conference. While it’s highly unlikely that they’ll earn that top spot, be advised that the momentum built up this past year will continue to build this year. If Coors Light came up with a bottle that turn blue when on you got your swagger, the Denver Nuggets roster is on code blue. The energy and aggressiveness that the Nuggets bring nearly every night is what will continue to drive them to success. While I’m not a fan of J.R. Smith, his play alongside Carmelo and Chauncey will ultimately determine games down the stretch, if he can continue to knock down the open shots, it allows Billups and Melo to operate with open space that will lack help side. In the post, the Nuggets also have one of the best clean up crews around with K-Mart, Birdman, and Nene. One thing to watch out for is the progression of rookie guard Ty Lawson, who should flourish in Denver’s style of play, it won’t take long for him to beat out veteran Anthony Carter for the backup point guard position and with Lawson’s speed, I also see Coach Karl playing Billups and Lawson together if the matchups present themselves. Just like the last year’s playoffs, the Nuggets will be one of the most entertaining teams to follow this year. Portland Trailblazers- The Trailblazer nucleus now knows what it takes to be a playoff team and have a taste of the playoff experience. With that in mind, the young squad will build upon last year’s success while meshing in the newest addition of veteran point guard Andre Miller, who could become the missing link to the puzzle. Starting center Greg Oden should come out and display drastic improvement to his overall game and it wouldn’t shock me to see him average a double-double with a couple of blocks per game. Portland’s biggest problem comes at small forward where they have multiple guys who equally deserve a chance at that starting role. While Nicolas Batum started the majority of last year’s games, Martell Webster should add his argument with his lethal outside shot. I’ll even throw Travis Outlaw into the discussion; though the Blazers seem very content playing Outlaw in the second unit with Rudy Fernandez who should also blossum some more this year. Even with the addition to Andre Miller don’t look for the Blazers to impress much in the playoffs, but individually the young Blazers should continue to impress throughout the season. Utah Jazz– I don’t know what it is about Jerry Sloan’s teams, they’re always solid but can’t ever find that extra emphasis to get over the hump in big game situations. While the Jazz will be able to easily find one of the last spots in the playoffs if Deron Williams stays healthy, the overall improvement of this year will lean on the return of Carlos Boozer. Boozer will have the ability to prove to the league, what exactly the Jazz have been missing and how big an impact he actually has in his team’s success. The Jazz will start out the season without two of their main wing players, C.J. Miles and Kyle Korver limiting their strength of depth, giving Kirlenko another shot at not only proving he’s worth a starting nod but worth considering at the small forward on occasions. Millsap, even after getting paid, should continue to be Millsap, their key post man off the bench. The Jazz look as strong as ever on paper, but can they finally find that one extra gear come time to compete for the playoffs. Minnesota Timberwolves- The season of lessons learned, the motto in which new head coach Kurt Rambis and his team should live by this season. Even if Al Jefferson and Kevin Love remained healthy (which evidentially isn’t the case), the Wolves have no chance winning games this year. Too much inexperience, but filled with players who show signs of tremendous upside daily. Jonny Flynn will gain valuable experience as part of a struggling team and it should ultimately help him become a even better leader out on the floor. For Corey Brewer, this is a big season, a season to shine and prove his worth. Jefferson if healthy would’ve continued to improve as a fantasy owners dream, producing unreal numbers on a nightly basis. The NBA world won’t truly get a sense of the Wolves future until the Love and Jefferson tandem becomes healthy down low. Last but not least, did you think I forgot to mention the addition of Ramon Sessions, no I didn’t but honestly, I probably should have because Ramon will get beat out as the starting point guard and won’t be nearly as effective as he was with the Bucks last season. If Sessions stays with Minnesota he’ll become a player who was overpaid and overrated, but don’t be surprised if come playoff time, teams come calling. Los Angeles Lakers– The question isn’t whether or not the Lakers will be at the top of the Pacific Division that’s already a given, it’s whether Ron Artest helps them repeat as NBA champions. Despite the rest of the league’s attempt to put together a championship contending team, the Lakers once again will have the best-suited team for success. Opposing teams must pray that Ron Artest continues to ruin team chemistry with the teams he’s a member of. This very well could be a transition year for the Lakers with Derek Fisher slowly (and I mean slowly) earning less minutes in order to develop Jordan Farmar, but so far Farmar has yet to show consistently that he’s worthy of the slow changing on the guard. For Bynum, he must bounce back to full strength and become aggressive when given his touches or he maybe ignored on the offensive side of the ball come midway through the season. So far so good when it comes to moving the basketball for the Lakers, each player has seemed to accept their roles with the Artest addition. Odom seems fine providing a spark of the bench if need be and Kobe will continue to be Kobe, no matter who joins the franchise. In the end, if Kobe is Kobe, Artest continues to be Artest, it should be a very interesting year for the Lake Show, but one filled with a lot of promise. Phoenix Suns– Did I put any bias into this pick? Absolutely not, in fact I’m quite displeased in the way the Suns have managed to put together this team. Lacking a solid back up point guard (sorry the guy who gets paid lottery pick money not a backup) Dragic is no better than Roko Ukic. Now off that rant and on to the next one the Suns have no legitimate backup center, even before the injury of Robin Lopez. While I love that the run and gun mentality is back being that it’s a joy to watch during the season, but historically just awful to watch fail come playoff time. The Suns need such a lucky playoff matchup to even stand a chance in the first round. Do they have the ability to get there? I don’t know, I think Coach Gentry has the right mentality to have a chance, he just lacks the right personnel, simply because the management isn’t willing to spend the money. Channing Frye will prove to be a great management move and will definitely fit the “blue light” special bargain, but his option at the end of the year will be avoided and Frye will be gone, unless the Suns decide to over pay him. I can’t say much about the Suns this year, I just can’t, I’m done buying into the “eyes on the prize” as a supporter because simply that’s not what the management has their eyes set on. In many senses, the management is blind with a future that doesn’t look promising. Most likely Amare will be gone after this year, Frye will be gone (or overpaid), and poor, ring less Steve Nash will continue to descend from his prime. On the bright side, the Suns will potentially have a chance to get back into the playoffs by strictly out scoring teams where I hope they prove me wrong, and make me a believer. Earl Clark will be fun to watch progress and hopefully he’ll be given an opportunity unlike Alando Tucker. Well there’s not much else to say, be on the lookout on an article soon to really go in depth on my opinion regarding the Suns because though many find me a hater, I’m not, I’m just a not a believer in the way this franchise is being handled, I support the product being thrown out there on the floor 95% of the time. That 5% will be shown on January 11th. But in all, Suns will earn one of the last spots in the playoffs but without any emphasis on defending, they’ll be one and done, gone in the first round, then Amare will be gone. Though the Suns team, as I knew it is already gone, I hope we all enjoy what is left of it. Los Angeles Clippers– Could the Clippers potentially leap the Suns in the Pacific Division? I posed the question earlier this summer, got mixed emotions. In my opinion it’s a close call but I much take the proven Phoenix Suns than a young, unpredictable team filled with many depth questions. Who starts at center? Does Blake Griffin come off the bench? How does Eric Gordon’s role change with the signing of Rasual Butler? Is Baron Davis healthy and ready to go? These are just a few of the many I have for the Clippers this year and not even their biggest fans can truly answer these with complete certainty. I do like what Clipper fans have to look forward too, even before grabbing Griffin in the draft lottery. Gordon and Thornton were both surprising players last year and hope to improve upon that with the aid of a healthy Baron Davis by their side. Camby and Kaman both continue to show their worth with their inside presences and I’m hoping DeAndre Jordan will sprout soon. Jordan could soon be a very good poor man’s Dwight Howard having tremendous potential. The overall success of this team relies on Baron Davis, whether he can do enough to incorporate everyone into the offense and do so in an effective manner. While I think he can do much of that, I don’t feel he can do enough of it to make the Clippers a playoff team. Golden State Warriors– I’m well aware that Stephen Curry could be up for Rookie of the Year honors, but I don’t think he presence helps the Warriors succeed. His vortex mentality as a shoot first point guard will not improve the young Warriors team it will in fact hurt their chances in becoming a successful team. With the amount of scoring they have, the Warriors need to stress ball movement, getting everyone on the same page is something that should but won’t be done, just by examining the roster’s personality. With Captain Jack being relieved on his position, the Warriors lack a proven leader. No leadership translates into having a bad season. If Don Nelson isn’t willing to give Anthony Randolph his opportunity this season, they should consider trading the young product in exchange for a leader, a guy with the leadership ability of Chauncey Billups could really go far with a team not far from being successful. The Warriors will struggle but play hard to the end like ANTHONY who plays like there’s no ToMORROW. By the way, watch out for him, he could be a potential fantasy stud, especially with an unhappy Stephen Jackson. Sacramento Kings– With not much too look forward, Tyreke Evans becomes the main attraction in Sac-Town. Evans can at least bring some future hope to what’s to come along with potential double-double machine Jason Thompson and maybe even inconsistent center Spencer Hawes, whose shown signs of success but not enough to be fully bought into yet. But nonetheless the Kings should be back into the running for the #1 pick next year and I can only imagine a backcourt consisting of Evans and John Wall, talk a future backcourt for year’s to come! With a new coach and new point guard in charge of controlling the floor, change is in the air in Sacramento, patience could be worth it Kings fans, could be…. Dallas Mavericks– Dare I do it? I shall! The Spurs are great and will be right up there with the Mavs but I’m picking the Mavericks to be the biggest surprise in the NBA. Why? They made some very serious offseason moves, ones that will help the team step up to the next level. The most important was reuniting Shawn Marion with long lost teammate Jason Kidd. In my mind, Marion couldn’t of found a better home outside of Phoenix, being a firm believer I feel he’ll return to the Matrix of old for the most part. Though he’s already on the downside of his prime, he’s still enough left in the tank and enough motivation to seek a title. His slashing game compliments Nowitzki’s game well and don’t be surprised to see Marion play with Josh Howard whom they’ll move over to the shooting guard. With the best sixth man in the game today, in Jason Terry, the Mavericks will be the second best team in the Western Conference by a hair. Drew Gooden is a very legit backup big man able to play both power forward and center. Head coach Rick Carlisie has plenty of lineup options he can experiment with but once he finds the right solution, I believe the Mavs will be rolling from there on out. Dallas is the team to beat in the Southwest Division. San Antonio Spurs– They’re old, they’re experienced and they’re going to be good, especially come playoff time. But for the season’s sake, I’ll have them finishing behind the Mavs because at some point in the 82 game season, the Spurs will experience a rough injury, it’s just bound to happen. With stars like Ginobili, Parker, McDyess, and Duncan an injury is sitting just around the corner waiting to bite, but will it affect the overall play of the team, no in fact it’ll help the team prepare for the playoff push. Popvich if he’s smart he will start benching his players after clinching a playoff spot, in order for the aging stars to be ready for a dogfight throughout the entire playoffs. Richard Jefferson and Antonio McDyess were great fits for this ball club, DeJuan Blair could potentially could be the biggest steal in the draft so far showing that his knee is healthy and that he really was lottery pick worthy. The future of this franchise isn’t bright but the present is about as bright as it can get, if healthy. Memphis Grizzlies– By far the most confusing team in the NBA. Just when you thought the Grizz had the right idea to go young and build around their talented youth, they go out and find the biggest troublemakers possible. Adding Allen Iverson and Zach Randolph will only serve as role models NOT to follow in the NBA and will also help sell tickets. I really question whether the Memphis front office truly thinks A.I. and Z-BO can really help this team be successful, especially in a division where the should be focusing on the future, as they have no chance in competing now. A few of Rudy Gay’s touches should be taken away and given to Randolph but his scoring output should remain around the same as last year at nearly 19 points per contest. There will be two starting positions that will be interesting to follow throughout the year, Allen Iverson and Mike Conley battling for the starting job along with Marc Gasol and Hasheem Thabeet. In both cases I think Iverson and Thabeet will come about with the starting duties. Sam Young has shown some promise early on, but finding legitimate time could become a problem. The Memphis Grizzles will remain in the spotlight this upcoming year for all the wrong reasons, it’s unfortunate we won’t be able to focus on the positive young future that’s been held up by aging, chemistry issued stars. Houston Rockets– The Rockets might not win a game this year if Luis Scola doesn’t average 20 plus a game. Just kidding but Scola needs to average 20 points in order to even be competitive. I think we’ll quickly see that Trevor Ariza is overrated when it comes to be a franchise player and Aaron Brooks can only pass so many times a game in order to produce ball movement. I like the Rockets in terms of defense and their scrappy mentality but they have no identity on offense what so ever, it’s going to be an offensive about as confusing as the first few minutes of a pick up game. Coach Rick Adelman has a long season ahead of him and I have much respect for any positives he can get out of this season. As for Tracy McGrady, I almost forgot he’s still an active player in the league. 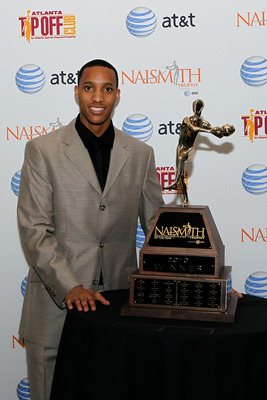 While I hope for a strong return I don’t know how much T-Mac has left in the tank that’s definitely running on empty. For the Rockets 2009-2010 season, the wins will be running on empty as well.